V570 is a vertical resurfacer used to fill cracks, refurbish, stop corrosion and provide a strong base for Pancrete. V570 product is a vertical resurfacer used to fill cracks, refurbish, stop corrosion and provide a strong base for Pancrete. 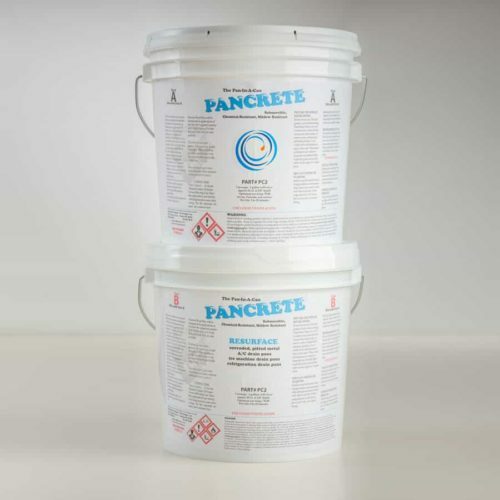 Designed to be used in conjunction with Pancrete, it provides a solid bonding surface for Pancrete to adhere to. 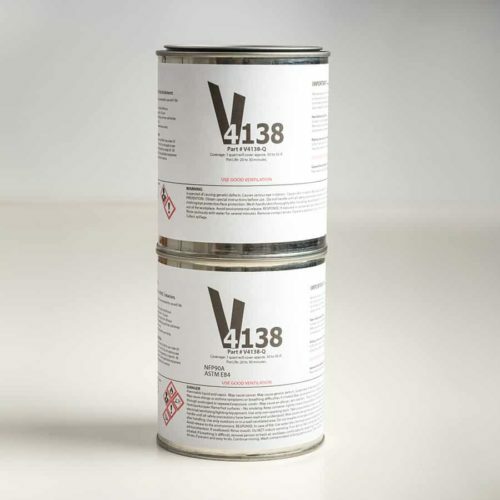 Water and chemical-resistant industrial strength HVAC surface protector. 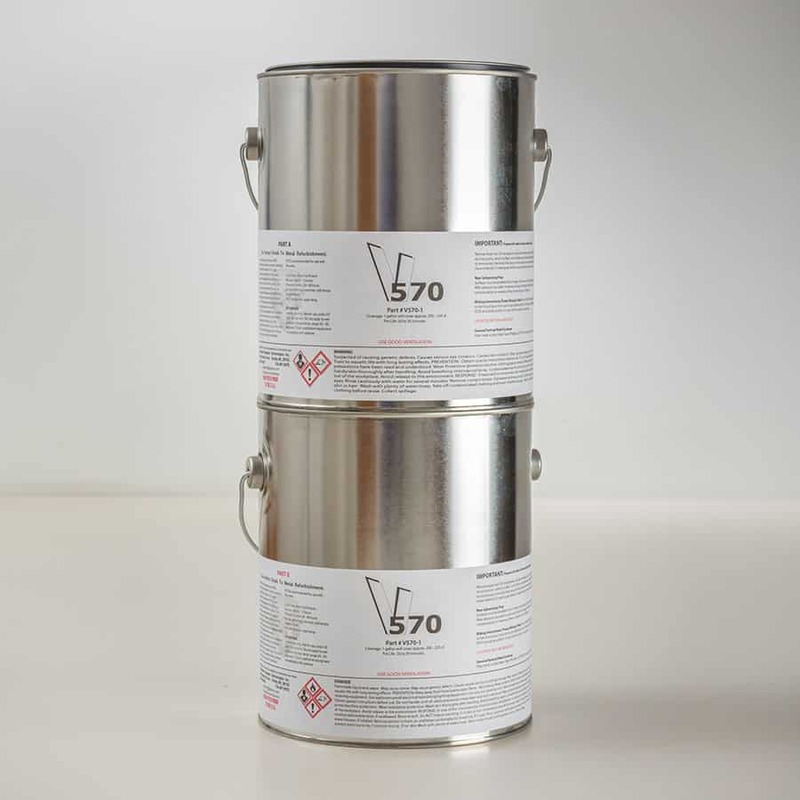 V570 is the best solution available on the market today to protect all the surfaces in the HVAC system. V570 Quart: 2 part kit mixes to make 1 quart (0.95 L). Approximate coverage: 25-37 square feet. 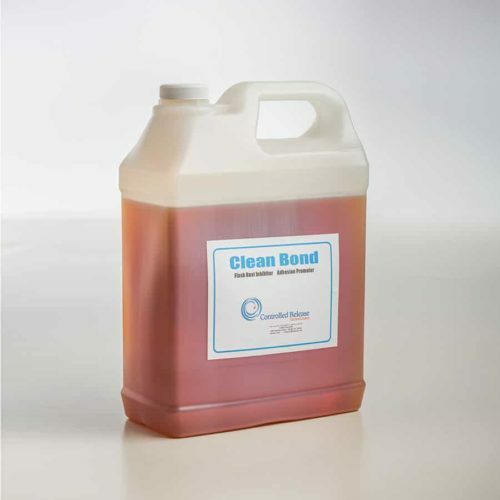 V570 Half-Gallon: 2 part kit mixes to make 2 quarts (1.89 L). Approximate coverage: 50-74 square feet. V570 Gallon: 2 part kit mixes to make 1 gallon (3.75 L). Approximate coverage 100-150 square feet. How to figure what you need for a 1/4 inch thick installation: Multiply pan length(inches) x width(inches) x 0.25 then divide the answer by 231. NOTE: Ground USA Shipments Only with this product.